The New York Public Library has selected Mecanoo – the Dutch architecture firm behind Europe's biggest library – to lead the renovation of its iconic main building on Fifth Avenue and a smaller branch nearby. Mecanoo has been tasked with expanding the public areas of the Stephen A Schwarzman Building, the library's main non-circulating research centre at Fifth Avenue and 42nd Street, by 42 per cent. The firm will also gut and renovate the library's smaller Mid-Manhattan branch, a lending facility located at 40th Street and Fifth Avenue. Last year, library leaders abandoned a controversial $300 million renovation plan led by Foster + Partners, which would have removed many of the book stacks in the Schwarzman building to create a large new reading room. Critics of the plan argued it would have undermined a resource for scholarship, as millions of its books and other holdings would have been moved into off-site storage. The London-based architecture firm had already been paid $9 million for its designs. Mecanoo will team up with the New York firm Beyer Blinder Belle, which is known for its historic preservation work including the renovation of Grand Central Terminal, also on 42nd Street. 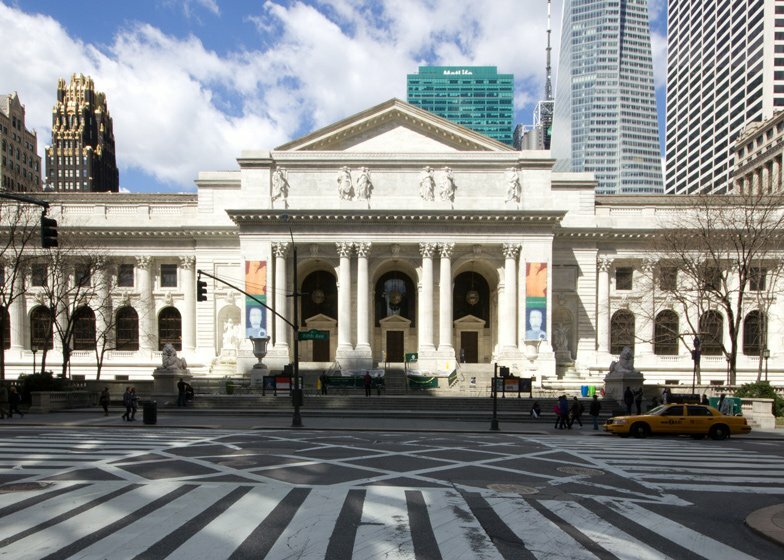 "With this team – Mecanoo, a worldwide leader in library design, and Beyer Blinder Belle, which has renovated New York's most prominent and iconic historic buildings – the library can be confident we can realise our ambitious, and critically important, vision," said Evan Chesler, chairman of the library's board of trustees. The New York City Library currently runs four main research facilities and 88 lending libraries. The Schwarzman building is often referred to as its main branch and houses more than 15 million items, including rare manuscripts and scrolls. The building opened in 1911, and was designed by New York architecture studio Carrère and Hastings. It is known for the pair of lion statues reclining outside the entrance and the ornate Rose Main Reading Room. The new public spaces inside the Schwarzman building will be created out of "vacant or under-utilised staff spaces," according to a statement from the institution. The renovation of the Mid-Manhattan branch will begin first with an estimated completion date of 2019. Changes to the Schwarzman building will follow. Mecanoo is currently renovating Washington DC's main circulating library, named for Martin Luther King Jr, which was originally designed by Mies van der Rohe. They also recently completed the Bruce C Bolling Municipal Building in Boston.